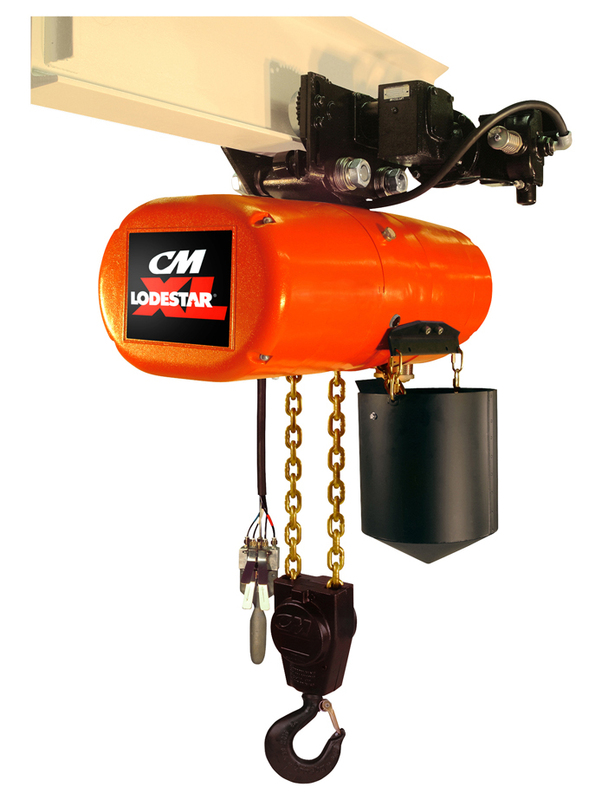 The CM Lodestar Air XL Pneumatic Chain Hoist are heavy-duty hoists featuring variable speeds and higher capacities than traditional air chain hoists. 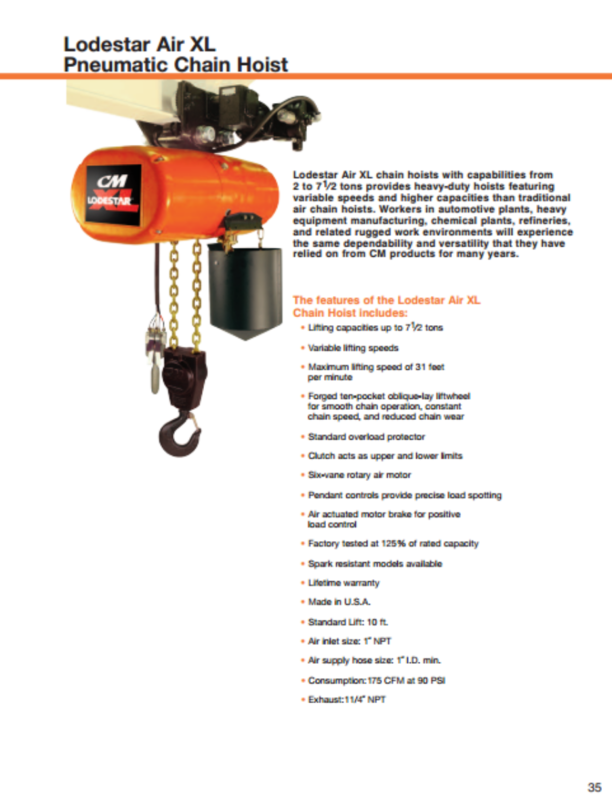 Workers in auto motive plants, heavy equipment manufacturing, chemical plants, refineries and related rugged work environments will experience the same dependability and versatility that they have relied on from CM products for many years. Air supply hose size: 1 inch I.D. min. Consumption: 175 CFM at 90 p.s.i.